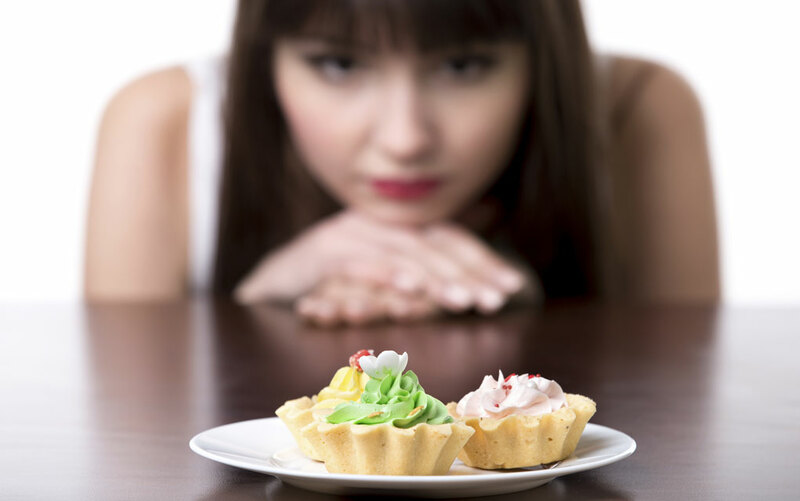 As if it’s not tricky enough to eat right and exercise regularly, food cravings always seem to get in the way. If you’re a human being, you know what I’m talking about. Cravings are those hankerings for a specific thing to eat that simply will not go away until you cave. You feel better as soon as you eat it, but moments later you have to accept that you’ve effectively destroyed your diet for the whole day. I’ve wondered about food cravings for a while, and I did some searching around for answers. What’s causing them? Is there any way to silence them? Or at least turn down the volume a little when they scream “YOU NEED CHOCOLATE!” the day after I start working out? It turns that cravings are often signs that our bodies are missing other common nutrients – or even that we need TLC. For example, when I crave chocolate, it’s because my body knows chocolate has something I’m missing. It’s quick and easy, and my body knows I like it. This is a big one, especially for ladies. Almost every PMS symptom – and even cramps during menstruation – has at one point been blamed on a magnesium deficiency. Chocolate to the rescue! Of course, if you’re trying to eat healthier foods, chocolate isn’t always your best option unless it’s the really dark variety with at least 70% cacao. There are other nutritious choices available too. Try leafy greens and nuts to see if they soothe your craving. Salt deficiencies are a common problem. Listen to your body to find sources of salt that don’t come from beer or pretzels. Eventually you’ll be cleaned out of junk food and start to relearn what to crave when it’s time for salt. You might be thirsty. Try a glass of cold water or tea to see if that makes a difference. Salt actually helps lower cortisol, the stress hormone, so it’s possible you’re stressed out. When your craving strikes, take deep breaths and deliberately relax before you reach for the chips. It might help! Your body knows that cheese has a lot of the nutrients you get from a glass of milk. Vitamin D is a major part of a healthy body – and you can actually get it from standing in the sun! If you’ve been sitting at an inside desk too long, you might start wanting cheese just to make up for the lack of sunlight. Another possibility is that you’re missing out on important fat. Yes, even fat is necessary sometimes! Without it, you can miss periods, feel foggy minded and tired, and, of course, crave cheese. A lot of times, it turns out we feel hunger when we’re dehydrated. Try drinking a glass of water and then waiting. You might realize you feel much better. Of course, if you try these things and the craving just won’t go away, obey your body! Forgive yourself and move on.